Use it or lose it! Your mind needs exercise to stay in top condition, just as your body does. By working up a cerebral sweat in this ‘mental gymnasium’ you will soon have a lean, mean thinking machine on your shoulders. Your mind is what makes you tick, so keeping it in tip-top condition is as important as taking care of your body. By performing mental workouts you can build your brain power and keep your mind alert and agile well into old age. 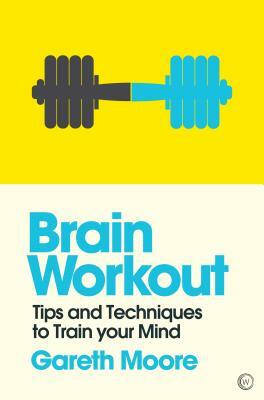 Brain Workout offers a mental gymnasium to keep your brain in trim. Here are dozens of tips for building up your mental muscles, as well as a program of exercises from gentle limbering-up to more complex challenges. Learn to hone your logical reasoning, number and word skills, pattern recognition, short- and long-term memory, comprehension, creative thinking, problem-solving, and much else besides. The exercises are fun to do and carefully devised to ensure you make progress across the whole spectrum of abilities. Self-testing enables you to assess your performance – you can learn as much from being wrong as from being right! Working systematically through the book, in no time you’ll be boosting your brain to peak efficiency. Get up to speed with Brain Workout. Stretch yourself to new limits. Give yourself the chance to excel.